Olivia Graham Associates is a group of experts with a wealth of knowledge and experience in the executive coaching field. Our clients are drawn from some of the top names in global business, including Arup, Barclays, Grant Thornton, KPMG, McKinsey, Mubadala Investment Company, plus institutions like the Met Office, Natural History Museum and national and local government. Olivia works internationally as an Executive Coach and Business Psychologist, specializing in enhancing leaders’ self-awareness, effectiveness and impact. She particularly enjoys coaching high potentials and those moving into leadership roles. She has extensive experience within a wide range of industries, including consultancy, financial services and construction. She has worked with the world’s leading business schools, including Duke Corporate Education, the London School of Economics, Imperial College London, and London Business School where she coached on global leadership programmes for over ten years. Olivia’s strength lies in her combination of a background in occupational psychology and an understanding gained from coaching across markets and cultures. This enables her to draw on many theories and models, enhancing her clients’ understanding and introducing them to practical strategies and techniques that can be applied in other circumstances. Olivia developed the unique coaching concept of intensive “Power Hours” for stressed executives. In just one hour, clients gain insights that enable them to put a specific concern into perspective and generate potential solutions to whatever challenge is keeping them awake at night. A firm believer in lifelong learning, Olivia gained both her degrees (BA Hons Psychology, Durham University; MSc Occupational Psychology, Cardiff University) as a mature student. 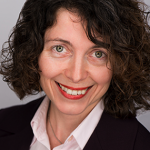 She is a Professional Certified Coach (PCC) with the International Coach Federation, and a member of The Association for Business Psychology, Association for Coaching, and the British Psychological Society’s Special Group in Coaching Psychology. 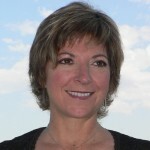 Lori has been coaching and training leaders and coaches for more than two decades. She is fascinated by neuroscience and enhances her work with experiential programmes based on our growing understanding of the brain. Excelling at coaching culturally diverse teams, Lori is in high demand internationally, working with a wide range of clients from accountants to engineers. She also trains consultants, employees, managers and executives to use and integrate coaching skills and tools in their daily work. Lori holds The International Coach Federation’s prestigious designation Master Certified Coach (MCC) and is a certified professional coach with The Coaches Training Institute. Additionally, she is certified in Organisation and Relationships Systems Coaching (ORSC). Prior to her move into coaching, Lori worked for the US Navy as an acoustics engineer. Brian has many years of international experience providing strategic and leadership consultancy services to board members and senior executives around the world, developing their personal and commercial effectiveness. Over the course of his career, he has built up and sold several consulting practices. During the 1990’s he was Senior Partner at organisation consulting firm Kiddy & Partners. Earlier in his career, he was a consultant and manager at Arthur Andersen in London and Chicago. He has also worked for British Airways, planning a major strategic organisation restructuring programme, and Atkins where he carried out large-scale project-management roles in Europe and the Middle East. His current practice is a virtual organization. 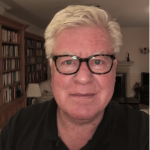 Brian was the Founder-Chairman of the Association for Business Psychology (now the largest professional body of business psychologists in Europe). He has a PhD in Organisational Behaviour, and is a Chartered Occupational Psychologist. He is Visiting Fellow to a number of British universities, supporting their research and MBA programmes. His publications include a book on the subject of alienation from work, and various articles on post-modern thinking and practices in organisations. Adrian has focused on leadership and team development for the past ten years. His clients are successful and highly capable, and looking to develop themselves further to rise to the opportunities and challenges around leadership, promotion, organisational change and teamwork. He has 25 years’ prior business experience, including high-pressure roles in equity research with Goldman Sachs and SBC Warburg (UBS), followed by a Director of Strategy role with a FTSE 250 telecoms provider. He launched his own business, supporting clients with strategy and financing in the VC sector, before focusing on coaching and facilitation as the most effective way to work as an agent of change for leaders and their organisations. 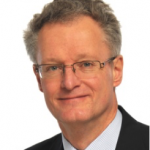 Adrian works regularly as a coach with London Business School’s Executive Education faculty. He is a Professional Certified Coach (PCC) with the International Coach Federation. Hazel has coached executives and leaders from a wide range of industries for nearly twenty years. Her clients include individuals and teams in the energy, finance, IT, health, education and voluntary sectors. Hazel runs one-day individual Coaching Vision Intensives for leaders who want to work on generating an inspiring vision for themselves, their team or their organisation. This deep-dive coaching experience uses a Positive psychology framework to explore strengths and values-based leadership, providing an opportunity to access clarity around what’s next. Hazel is also the creator of Lumination, a coaching style board game, which generates a rich coaching and learning experience for participants. Originally a mathematics and psychology graduate, Hazel worked in a number of national policy roles before pursuing her interests in coaching and people development. She is an accredited Professional Executive Coach with the Association for Coaching, and also a qualified coaching Supervisor.